The IKC is dedicated to the preservation and conservation of Indiana's unique karst features. The ICS is an organization dedicated to cataloging all cave and karst features in the state. Indiana's newest show cave, part of the Binkley Cave System, boast amazing waterfalls, an underground river, diverse cave life, and rich history. Marengo cave is a gorgeous cave located in Marengo, IN that showcases a beautifully decorated cave in Indiana. Squire Boone Caverns is a real place in southern Indiana where Squire Boone, younger brother of Daniel Boone, lived and worked. Spring Mill State Park is well-known for its underground streams, sinkholes, and caves. This twenty-minute guided boat tour will provide participants an opportunity to see “up close” the blind crayfish, bats, and the endangered Northern blind cave fish that inhabit the cave. Lets talk caves!! Shoot us an email. We would love to chit-chat with you! 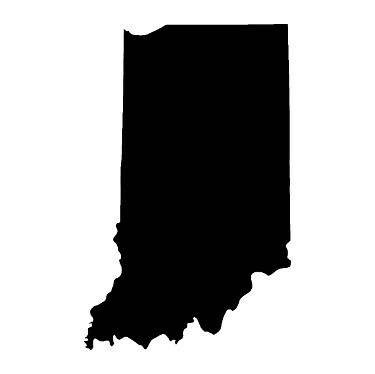 The original Indiana Hoosier Cavers website was founded by some amazing cavers who were interested in getting new people involved in the caving community. The site intends to carry on the legacy of educating people of all ages and experience levels about cave conservation and safety, while promoting general appreciation for all things underground. Caving isn’t just about going into the deep bowels of the Earth to explore; it's about the camaraderie experienced while adventuring together! Cavers love to explore the limits of the unknown, but must always remain aware of potential dangers. Hoosier Cavers helps teach new cavers to be conscientious about safety and preserving the cave environment. Many rare creatures and delicate speleothems can be found in caves. Great care should be taken to maintain their integrity for years to come. The purpose of this website is to provide information and resources for people interested in how to go caving responsibly. Much of the material on this site is specific to Indiana caving, but can be equally useful in other regions. The first step to getting involved with the underground community is to contact a local Grotto member (Click on the link at the top right) to learn more and set up a trip! Happy caving!